We managed to squeeze a little family bonding time between Henry’s busy schedule. I suggested we go to Ace Water Spa in Banawe. 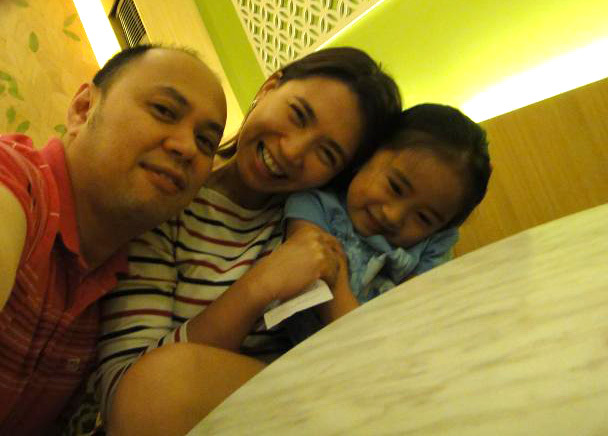 Iya and I have been there when we enrolled in the Baby and Me swimming program. I was hoping that the facilities did not deteriorate after three years. Fortunately, it was still well maintained that even Henry was impressed. It was our first time to try the spa amenities which uses jets or bubbles or gravity to massage parts of your body. I never really get excited over Jacuzzis but it is a different experience if it targets specific parts of your body. I appreciated the foot massage, Henry likes the back massage and the rainfall massage, and Iya loves the lazy river where she goes around the spa area on a foam pad. 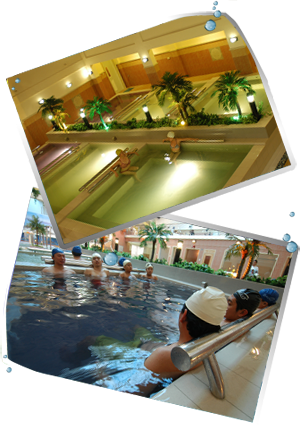 These images are taken from the website http://www.acewaterspa.com.ph/ because cameras are not allowed. The hot herbal pools. You should rest your neck on the cold metal bar to even the temperature. I love soaking in hot pools so this is so relaxing for me. 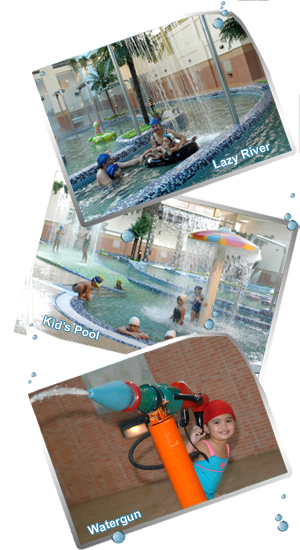 The lazy river ride is something to do before and after the spa. The mechanically induced currents take you around with surprise fountains at different points. Henry prefers the high pressure massage over most of the areas. Rainfall acupuncture is one of the must try massages. You lay flat on the tile bed then the rest is up to the machine. I tried everything even the hot herbal pools. After three hours of fun, laughter (the rainfall accupuncture is really quite a tickler), and getting all wrinkly, I forced Iya to call it quits. We ate dinner at the cafe which serves surprisingly good quality food. We ordered Chicken Cordon Bleu and Pork Sate Noodles for the main course then Chocolate Mousse and Strawberry Shortcake for dessert. The mousse reminds me of KFC chocolate mousse when I was still a kid. The KFC mousse now is only a fraction of what it tastes like before. Eating cake. Too bad I was not able to take a picture of the Chocolate Mousse! After dinner we went to Serenitea to have my fix of milk tea as usual. This was where I learned there was such a thing as a Princess pose. I know it’s not a typical romantic anniversary but in line with keeping things real, a family event is a welcomed alternative. It made our day memorable and not pass by unnoticed.